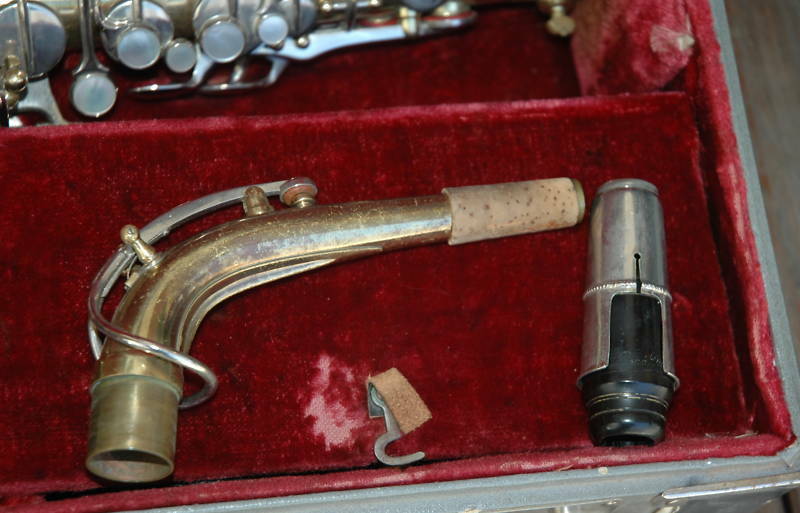 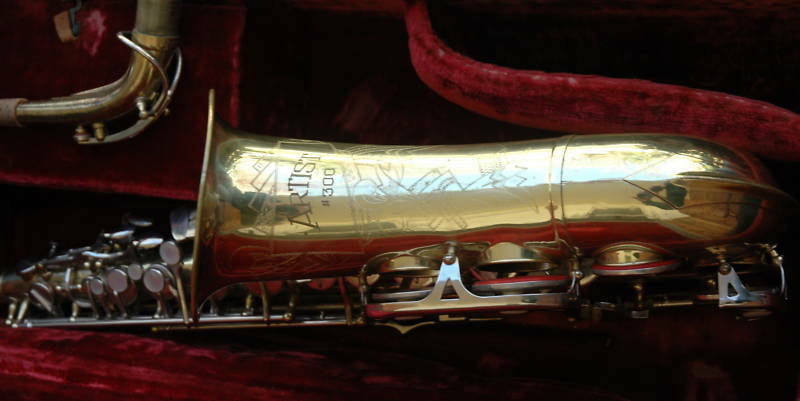 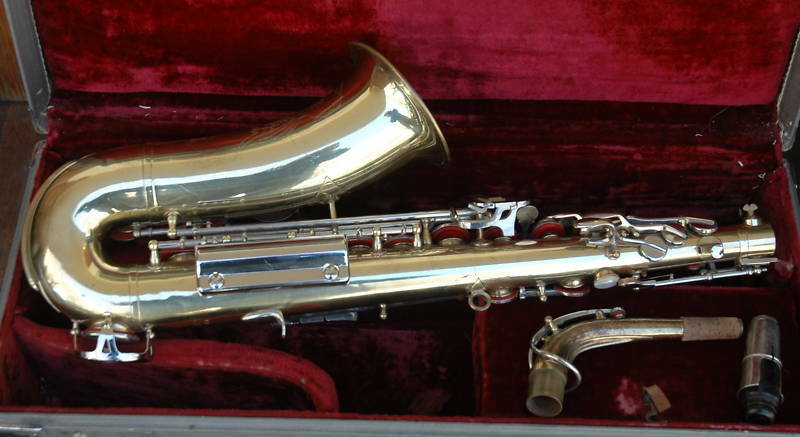 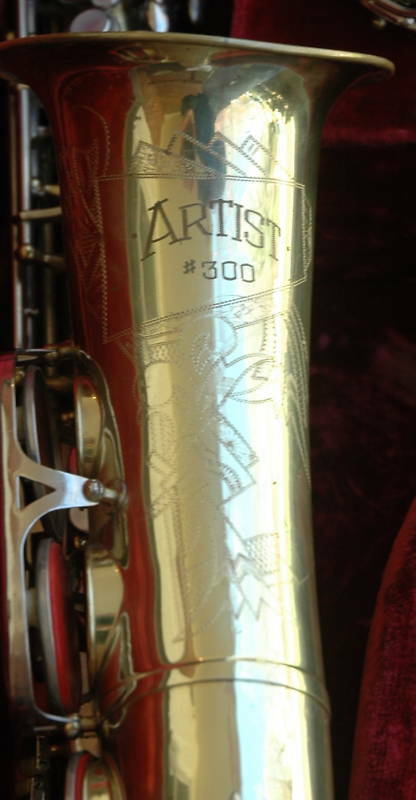 In all my years of searching for D&J horns online, this is the one and only Artist #300 saxophone that I have seen. 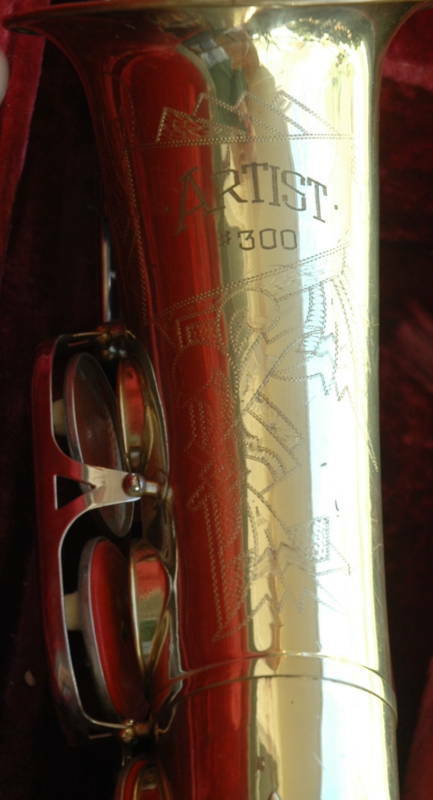 It is a bit of an enigma, since this is not a stencil name that I have seen associated with any other musical instrument either. 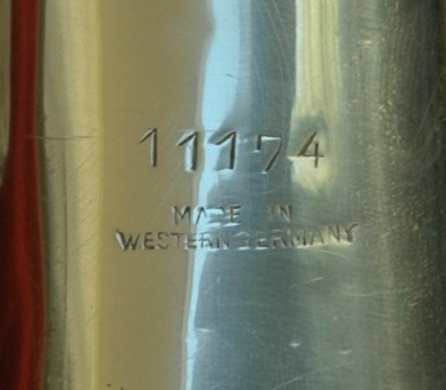 Certain stencil names of Dörfler & Jörka-made saxophones are associated with certain countries. 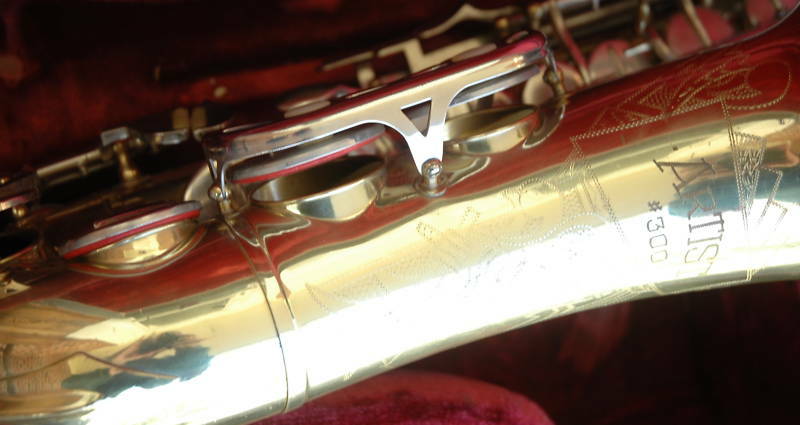 For example, Clinton saxophones are commonly found in Australia, whereas the Diamond horns were built for Eric Pettersson’s firm in Sweden. 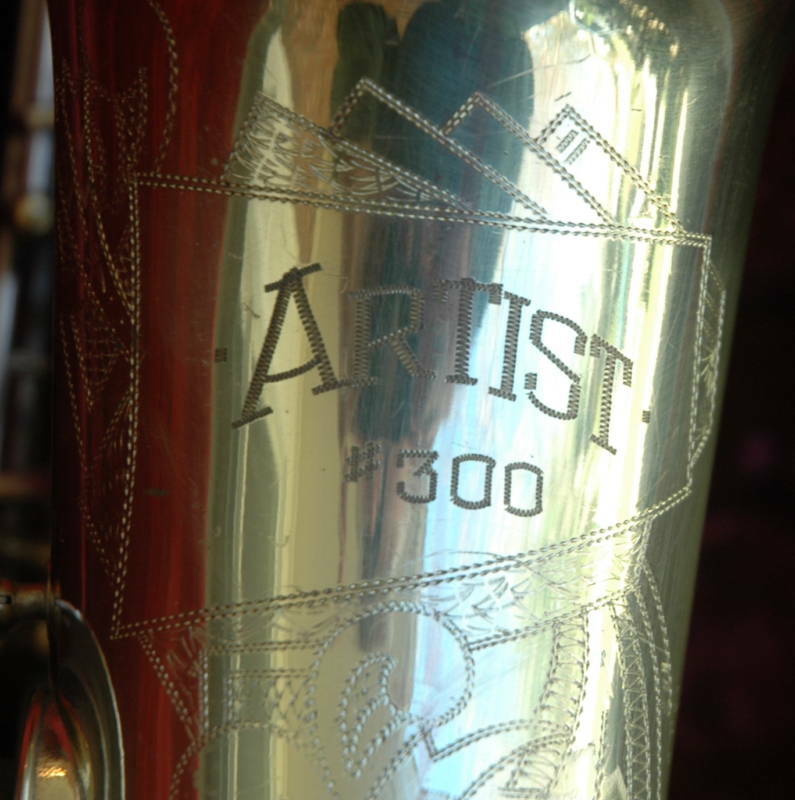 This Artist #300 however, is truly a mystery, since the brand name doesn’t come up in any online searches, and can’t be readily traced to a particular country.